This project took three separate trips across the country to finish, but it has immediately become one of my favorite pieces in my collection. 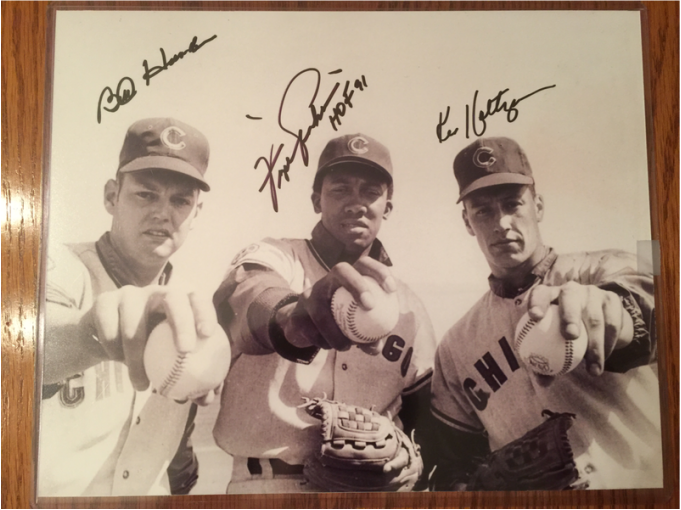 First, I sent the photo to a fellow collector, Jim Matheson, who was attending the Cubs Fantasy Camp in Arizona in 2015. At the camp, he was able to get Fergie to sign it for me. Later in 2015, Ken Holtzman did a private signing in St. Louis, MO, I sent it in via the vendor and obtained this signature there. Finally, in June of 2016, I received written permission from Bill Hands to send it to him via his PO address in New York and he graciously signed it and returned it back to me. I cannot say how excited I am to have this piece done. 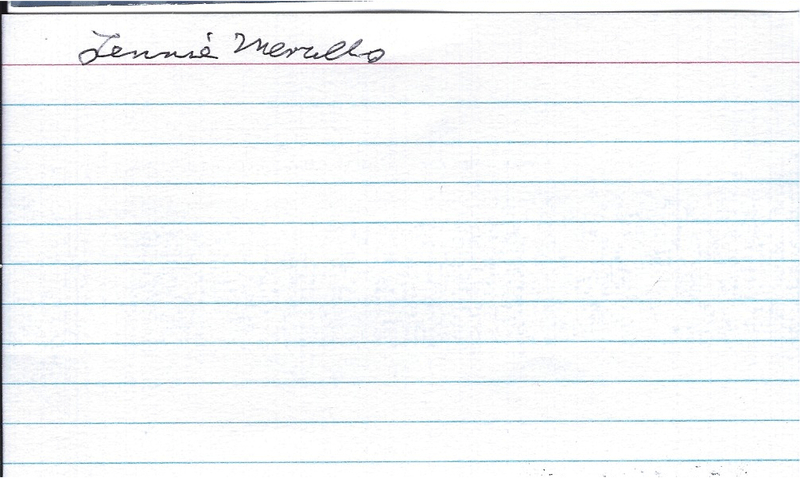 I sent a couple of cards to Lennie Merullo, the oldest living Cubs alumnus. I received a reply in 6 days, but my SASE was not sealed. All that was in the envelope was a signed index card. I don't know if he signed either of my cards as they probably fell out in transit. Pulled a great 8X10 in from Chris Iannetta, just a little hard to see. Sent to Angels Training Camp, returned in 50 days. I had sen t the long time cub four Old School customs, which he returned unsigned, but he added this black and white photo. I unfortunately ripped it and had to trim it up. Will probably be turned into a "cut" card someday. 43 days door to door. Still nice to have an old Cub out of the way. With this return I have 164 Cub Alumni TTM Returns... if my count is right since 2010. 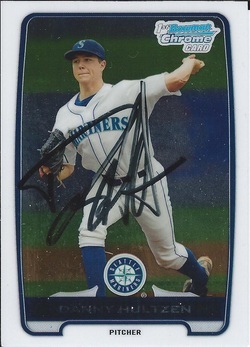 Great sig from a rising star for the Mariners. 7 days door to door via Mariners Spring Training. Cool return. Love these purple borders. 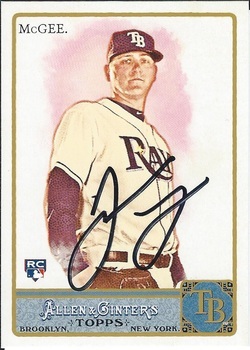 Returned 1/1 via Blue Jays Spring Training in 37 days. My first ever 8x10 return from Charlie Blackmon. Signed big & bold in 10 days via Rockies S/T. Long time out for this one. Sent June 20, 2012, returned Feb. 25, 2013. Still an awesome looking A&G. 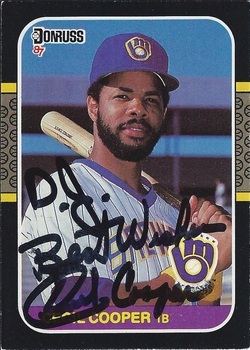 IMHO, one of the more underrated players of the 1980's. Mr. Cooper personalized & returned 1/1 in 147 days. A nice little return from a scrappy player. 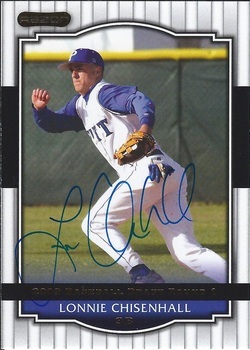 Mr. Dascenzo signed 1/1 in 22 days via his home. I made up the cards for Mr. Skidmore as requested, and he sent this as a thank you. Personalized to me. Very cool. I had sent a request to Mr. Skidmore a few weeks back and received a return. Came home to a letter from him in the mailbox today. Turns out he is not only a fellow Millikin Alum, but also a fraternity brother as well! Will gladly make him a few copies. Pulled a nice one back in today. Had sent in Spring Training. 1/1 return in 239 days. 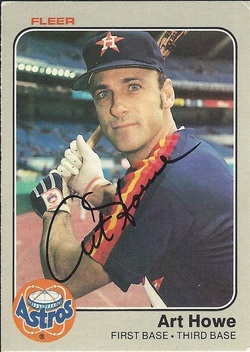 A great signer with a great signature. Mr. Buechele returned 1/1 in 14 days via the Frisco Rough Riders. One more Cub off the list! Always loved this guy as a player. Returned 1/1 in 17 days via his home. Mr. Hrbek returned 2/2 in 7 days via his home. I included a $5 donation. 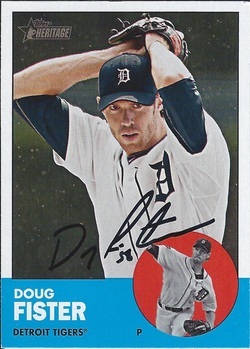 Mr. Fister returned 1/1 in 17 days via the Tigers. Indians prospect returned 1/1 in 33 days. I sent a 2012 A&G, received a 2008 Razor card back. One of my favorites as a kid, Mr. Murphy returned 2 cards in 30 days via his business. Saw a lot of successes coming in lately for Mr. Boggs and I took a chance. He signed 2 cards in 16 days via his home. I sent a $10 donation. I love these cards and I think the sigs came out fantastic.